The internet has made things easy for everyone. Learners can now be taught from home, and this is an added advantage to tutors looking for flexible working environments. Virtual tutors earn more than $12 per hour, which is a decent pay than that offered by most jobs in traditional business setups. English is a language used internationally, and that is why countries like China, Japan, and Korea are always hiring native English speakers to tutor their children. This post contains 16 sites you can find online English tutoring jobs paying more than $18 per hour. Must have a Bachelor’s Degree in any field subject. Must have a device, such as Desktop or Laptop you will use to teach from. Must have high speed and stable internet connection. Must have a quiet home office without distractions. This is a quick summary of essential requirements you must meet. For more specific qualifications, check out the particular tutoring sites below. Filling out the application form will take you less than 10 minutes, which anybody can do. Do not forget that the video interview process done immediately after sending your application is the most crucial part. You will be required to schedule a session for your video interview to speed up the application process. When scheduling the interview, you need to know where the company is based so that you can book a time appropriate in their time zones. All the companies below do not require you to schedule an interview, but most will so make sure you read the application requirements carefully. VIPKID is one of the most popular sites which offers online English tutoring jobs paying around 22 per hour. This means that you can easily make more than $2,000 per month working 3-7 hours per day in this site. Their pay is $12 to $22 per hour depending on your experience and expertise. You will enjoy flexible working hours and the ability to make money online remotely from anywhere. VIPKID creates lesson plans, communicates with parents and provides other teaching materials for you. Apart from the high pay of $22 per hour, you shall also get $300 sign up bonus for new teachers and $50-$60 for every successful referral of a new teacher. 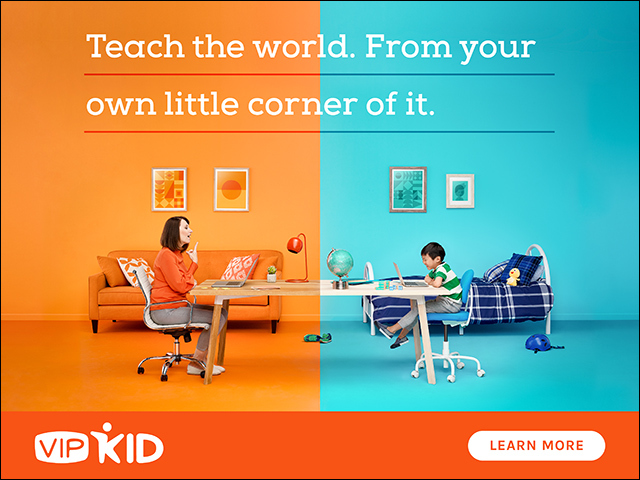 VIPKID offers paid holidays, leave and any other additional working hours. VIPKID is rated number one best company that is always hiring for work from home jobs. You will get to network with the most engaged community of teachers which will accelerate your personal and career development. You must have a reliable Internet connection because if it cuts out for more than 3 minutes, you shall be charged a fine and the less will be labeled as canceled. You must be a North American Teacher (that is you must be from the United States or Canada) to pass the application process. I year teaching experience is an added advantage. You must have a computer and a headset. Qkids is a site you can find high paying online English tutoring jobs if you are a tutor, educator, stay at home parent, college student and any other person. Qkids was established in 2015. They hire people from home North America (People living in the US and Canada). You will teach English as a second language to kids between 5-12 years of age. Their pay is $16 to $20 per hour depending on your experience and expertise. Qkids offers free paid training sessions to all new teachers. Apart from the high pay of $20 per hour you shall also get a $100 referral bonus for every new teacher you recruit. Qkids provides all teaching and learning materials you need. You will have the ability to choose your teaching schedule because they offer flexible working hours. The engaged community of tutors in this platform will help you to develop socially and in your career too. You must have a bachelor’s degree or be currently enrolled in a degree program. You must be available for not less than 6 hours per week. Must be a native English speaker from the US or Canada. Having English teaching certificates, such as TESOL, TEFL, and CELTA among others is preferred. Also, prior experience in teaching will also be preferred. Must have all the technical equipment, such as computer, internet, and camera among others. Education First is a privately owned sites where you can find high-paying English online tutoring jobs when you live anywhere in the United States and Canada. Education First was established in 1965. You will be hired to teach English to Chinese children between 6 to 10 years old. Their pay is $12 to $19 per hour depending on your experience and expertise. Must attain a 40 and above in the TEFL (Teaching English as a Foreign Language) certification. Experience in child development, teaching, coaching and mentoring will be added advantage. You must be willing to undergo a background check before orientation. 51Talk is another famous site you can apply for online English tutoring jobs when you want to make extra cash online during your spare time. You will have flexible working hours where each lesson lasts 45 minutes. Unlike other teaching companies, they do not have strict requirements, but you must have a degree, and prior teaching experience will be an added advantage. You must have a minimum of 30 hours per month to qualify for a teaching position at this site. Teach away is currently hiring for more than 250 online English tutoring jobs. Make sure you drop your application by February 2019 to increase your chances of getting this job. Applicants must be native-English speaking US/Canadian. They hire licensed teachers, ESL instructors, and university graduates to teach English to Chinese Children in preschool to grade 6. Having a TEFL certificate and prior teaching experience will be an added advantage. Englishunt specifically focusses on teaching English to Japanese and Korean students. They pay around $14.50 per hour, which means you can easily make good money at this site. You must be available for more than 12 hours per week to find a job on this site. >>>>>Click Here To Learn More About Englishunt & Apply for a Tutoring Job! iTutor is one of the best sites to find not only online English tutoring jobs but also tutoring jobs in other subjects. They have a strict screening process, and you must have TESOL/TEFL Certification, a bachelor’s degree and a minimum of 1-year teaching experience. They pay around $18-24 per hour, which is a good salary. >>>>>Click Here To Learn More About iTutorGroup & Apply for a Tutoring Job! Unlike other tutoring platforms above, Cambly operates differently. Students have to download Cambly app, pay a sign-up fee then login to get the help they need. Another difference is that they deal with students from all over the world and also hire tutors from anywhere. Also, you do not need a university degree or TEFL certificate to apply for a job on this site. Their pay is around $10.20 per hour. >>>>>Click Here To Learn More About Cambly & Apply for a Tutoring Job! In Italki you will be able to set your pay rate by directly communicating with students and agreeing on a given amount. Apart from teaching English, you can also apply to teach Japanese, German, Russian and any other language you are fluent in. Most of their lessons are taught on video hosting platforms, such as Skype, FaceTime, and Google Hangouts). The minimum amount you can charge is $12 per hour, which means you will not be under-paid. >>>>>Click Here To Learn More About Italki & Apply for a Tutoring Job! Da Da is another fantastic site to find online English tutoring jobs because they give a decent pay of around $19-$25 per hour. You do not have to be from North America to get a job on this site because they hire tutors from all over the world. You must have a reliable internet connection and be available for at least four hours per week. >>>>>Click Here To Learn More About Da Da & Apply for a Tutoring Job! 11. Tutlo: You must have a Bachelor’s degree and you expect to earn around $5 to $11 teaching English in this site. 12. Golden Voice English: This site uses video conferencing technology to offer English lessons to learners. They pay tutors around $12 per hour. 13. TutorABC: Get employed to teach cute Chinese and Japanese children English in this site. You expect to earn more than $9 per hour, which is a high and decent pay. 14. Berlitz: Unlike most tutoring sites which offer English lessons to kids only, Berlitz will hire you to teach even adults which means there is potential to make more money in this site. 15. OpenEnglish: From the name you can tell that this is a site that brings to together English learners and tutors in a platform where they can both cordially benefit from each other. You will be able to earn more than $8 per hour in this site. 16. GoGoKid: A tutoring company based in Beijing, China and owned by Teach Away, a popular tutoring site. They are currently hiring online ESL English tutors and you can follow this link for more details.